Jermain Defoe was left out of the starting XI at Southampton after Fabio Borini was preferred to Sunderland's top scorer. Borini - who netted a stunning last-minute equaliser against Crystal Palace in midweek - was recalled at the expense of Defoe in a switch which saw Dame N'Doye moving into a central role. 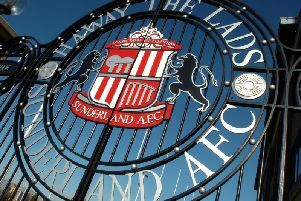 That was one of two changes from Sunderland boss Sam Allardyce, with Younes Kaboul taking the place of captain John O'Shea, who wasn't risked despite recovering from a calf injury.